• How to report – Forms are available at your municipality/township building. They will need a detailed description and documentation, including photos, of the damage. • When – As soon as possible. Relief money is available for a limited time. Contact numbers for Monroe County are listed below. PLEASE, FEEL FREE TO PASS THIS INFORMATION TO FRIENDS, RELATIVES AND ANY BUSINESS YOU’RE CONNECTED WITH. 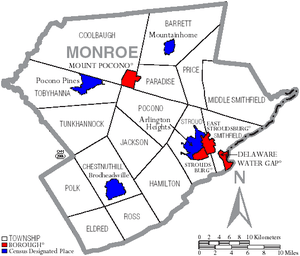 Posted on November 7, 2012, in In the News and tagged Coolbaugh Township Monroe County Pennsylvania, Pocono Township Monroe County Pennsylvania, Stroud Township Monroe County Pennsylvania. Bookmark the permalink. 1 Comment.